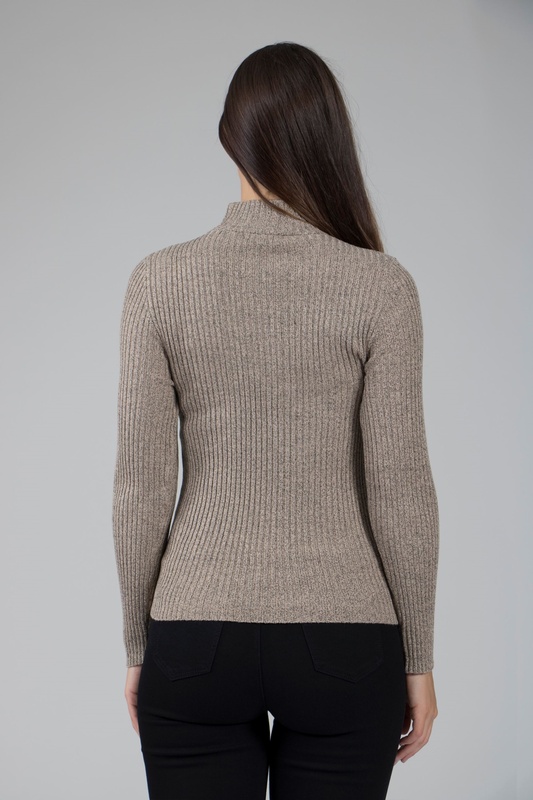 A wearable top made from a lightweight knit with added stretch, with a unique ribbed texture and panelled structure. The top is fitted, has long sleeves and a short polo neck. It would look great worn under an open gilet or with jeans. Unfastened.